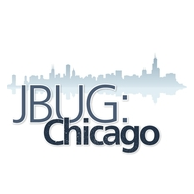 In a few weeks time, Feb 6th, 2014 in Chicago we will have one of the more special JBUG meetups in a long time. There will be a star studded group of JBoss Evangelists in attendance providing you with a chance to participate in diverse workshops based on JBoss technology. Eric D. Schabell is the JBoss technology evangelist for Integration and BPM products at Red Hat. He is responsible for various outbound technical aspects of promoting JBoss Enterprise Middleware integration products and services (BRMS/BPM, SOA, and data integration), has traveled the world speaking at conferences and is the author of The OpenShift Primer. He has been working within software development since 1998 for many different enterprises. Follow this blog at http://www.schabell.org. You can sign up via the MeetUp registration page and we are looking forward to seeing you there!